The name Segway is synonymous to that original self-balancing transporter, but what Nerd Reactor discovered at this year’s CES in Las Vegas was a company with an expanded vision beyond 2-wheeled scooters. Our socks were blown off by the new and existing product lines. 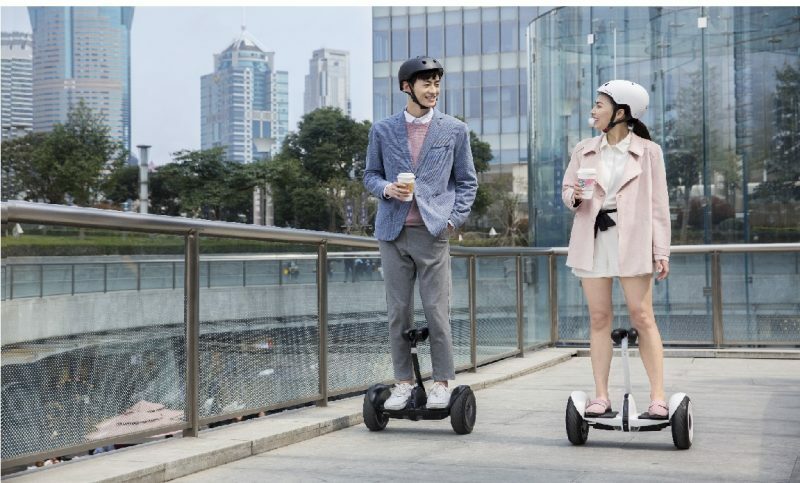 Marketing Manager Brian Pan could not fully contain his excitement in the direction that Segway-Ninebot was going, and to be honest, it was a bit contagious where I caught that same excitement by the end of the demo. Segway-Ninebot has a core focus in “last mile solutions” but what we discovered was a wider range of products that went beyond. Brian shared with me some of the pillars of Segway’s vision: practicality, entertainment mobility, and intelligence of the future. A product that embodied these values was the Loomo. When Nerd Reactor initially ran an introduction to Segway’s Loomo, the fad factor was high and at a price, but actually seeing it in action fully realized some pretty unique use cases for this robot sidekick. With vision sensors and the ability to respond to verbal commands, Loomo’s potential seems limitless. Utilizing Intel’s RealSense technology, simply commanding the Loomo to “follow me” will have the Loomo follow you around like a hungry dog. Another possible command was to tell Loomo to take your picture. For the enthusiast, this AI can be reworked with a free Android-based SDK. Segway Loomo begging for more treats. 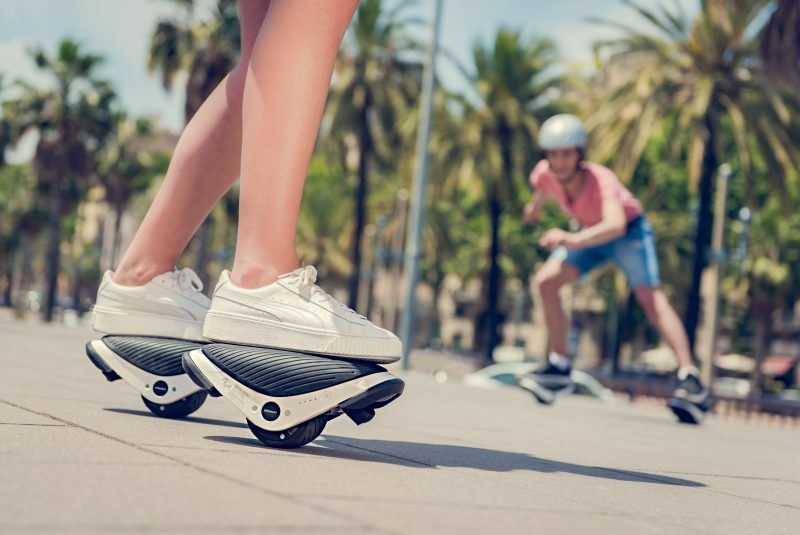 Evident from the picture of the Loomo is that it is built atop the familiar form factor of the NineBot S. In fact, Loomo can fully transform into transport mode, where the human master can now jump on top and ride it like a NineBot S. Your new AI buddy and transportation is all in one! Gimmicky? Probably yes, but we are talking the way of the future here. Newly announced at this years CES is a variant named Loomo Delivery. The form factor of Loomo Delivery is completely different from the Loomo and is targeted for an entirely different audience. 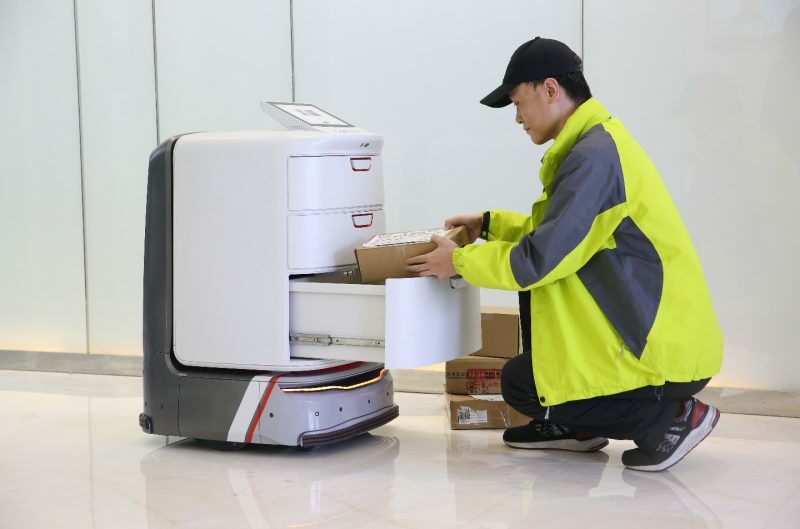 The Loomo Delivery is an autonomous vehicle intended for short distance delivery of parcels and goods. Upon first look at the Loomo Delivery, I thought it was a rolling printer. While this product is targeted more for businesses with inter-office delivery needs, all types of automation are pretty cool regardless. At CES 2019, I was offered off the bat to give these a spin. But with an average daily walking distance of 8 miles for Nerd Reactor coverage at CES, I was not yet ready to put my balancing skills to the test. Brian took up the reins and demonstrated the skates within the tiny confines of the Segway booth to much audience appeal. After a steep learning curve, I can see how these Segway Drift W1 skates can spark joy. They were definitely flashy, misunderstood, but most important of all, next level high tech. After Brian demonstrated a couple spin moves and the superior balancing engine of these skates, I could not help but be impressed by where Segway is taking balancing technology. These skates are marketed more for recreational use than a transportation alternative, but I must admit that I’ve seen a couple of these skates rolling down the streets of Downtown Los Angeles. The 3 or 4-inch wheels may not fare well in a bumpy urban environment, but I was also cautioned that these Segway Drift W1’s should be operated on a smooth surface. With a max speed of 7.5 mph and operating battery hovering around 45 minutes, these can travel a good couple miles before running out of juice. This is entertainment mobility, for sure, with lots of fun spins. I arrived into my meeting with Segway with the least excitement about the Ninebot GoKart Kit. My doubting thoughts hovered around practicality and how long this would sit in my garage unused. I may have even thought about skipping over this product, but Brian Pan insisted amidst my skepticism. My large frame needs a great deal of zip in order to feel any sense of speed, and my God, there was a whole lot of zip and a lot more. Within the confines of the CES booth, there was no possible way I was going to use even a fourth of the power that I felt on the throttle pedal. The temptation to gun it down the walking paths was definitely there, but I had to hold back for the sake of others. The fun factor feels like it could be off the charts. The promo videos where you can see adults skidding into a turn is no joke. So much joy can be had here. The excitement does not end there. I completely ignored that this was only a GoKart kit, so once you are done zipping around the park, you can pop off the kit to reveal the Ninebot S within. 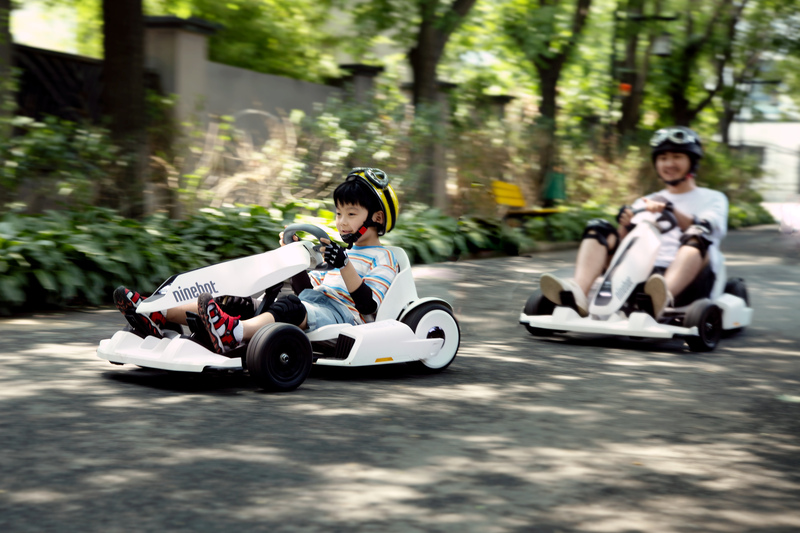 Just dump that GoKart kit into your car, and hope on that Ninebot S to get to the store. Any questions remained about functionality just immediately disappeared right there. 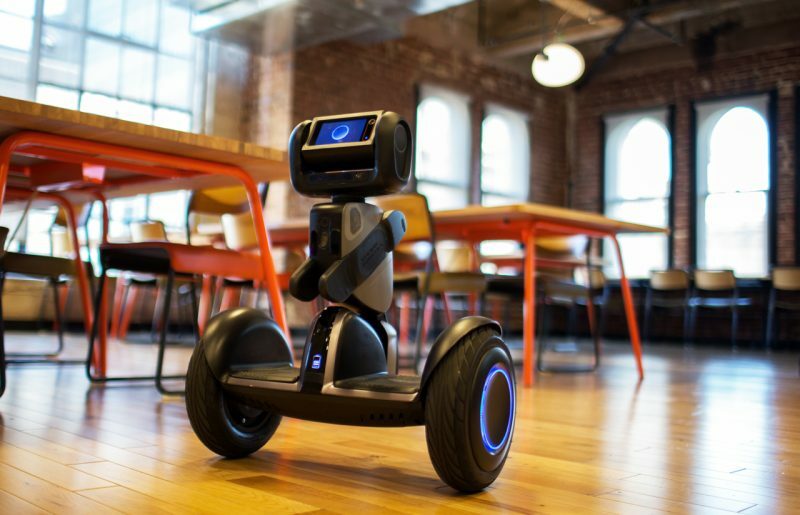 Segway-Ninebot products are available directly on its website, Amazon, and a few select stores like Best Buy. The post CES 2019: Segway-Ninebot owes me a new pair of socks appeared first on Nerd Reactor.